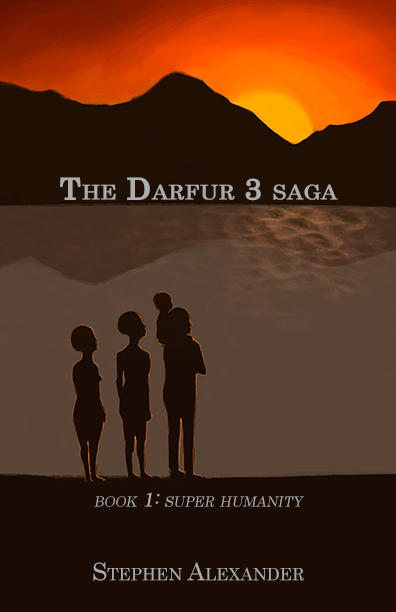 SuperHumanity, the first novel of the Darfur 3 superhuman action saga! A schism between 2 great superheroes on the battlefield of Tora Bora leads to superhumans fighting in the wars over Darfur. Now it is the year 2012, and the young heroes of that war face their greatest challenge yet: going to America for hero training. Are they ready for America? Is America ready for them? Will they become the heroes America and Darfur need them to be? Born 1983/10/10. The sidekick of “The Commander” who left his teammate in Afghanistan to fight evil on his own outside of the law. He travels the world for several years fighting and killing evildoers and helping out in disasters until a failed attempt to kill Putin in early 2006. 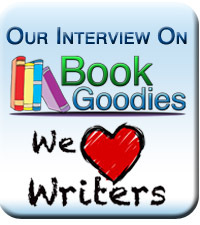 On the run, he goes to Africa and finds the main characters, becomes their trainer. 5’9 in 2001, 6’4 in 2006, 6’5 in 2012. Black, from Denver, USA. Energetic and full of ideas in 2001, much calmer in 2006 and 2012. Often wears a long leather jacket, short sleeve shirt, black loose jeans. Occasionally wears round sunglasses, square sunglasses/glasses, or an electronic visor in 2012. Born 1975/11/30, from Washington, D.C, white female, brown hair. The lead hero who was training Nightline before he left her in Afghanistan. Became director of the UN-EADI in 2009. Has been following Clyde’s career/exploits in the media. Generally no-nonsense and tries to find the bright side of things. Power: Gravity manipulation; can alter the path of objects, make things float or drop, and pin things for short periods of time. Born 1996/04/04 in a village in Northern Darfur. Village destroyed by Janjaweed forces and he moved around a lot. Family killed and he was heading to a refugee camp with some survivors when a militia attacked and took them as slaves. On their way to another village Nightlight spotted them while investigating a rumor of an attack and killed the slavers in early 2007. Trains with Master Clyde for many years and becomes a major in the SLA, including taking part in an assault on a base in Khartoum. Somewhat friendly to strangers. Vicious and direct in combat and speech. Doesn’t get western idioms very well. Used to be Islamic but has moved away from religions. 5’11 in 2012. Root power: None; Master Clyde modified his body and taught him about magic, eventually deciding to partner with a mysterious extradimensional entity that lends him avatars on request, which feed on human minds. Like the other Darfurian superheroes, he learns how to manipulate power to gain the abilities of others and disrupt them. Born 1996/09/15 in Nyala, South Darfur. Her mom chose the name because she saw an Egyptian movie called “the choice” and liked the actress. Her family moved from Nyala to the countryside to tend cattle for their family, giving her only 3 years of school. When the war came to her in 2005, her powers became active at the sight of seeing a younger brother die. The resulting explosion caused the deaths of the attacking soldiers, and so she was used as a living bait bomb to kill the enemy. Eventually the village elders declared her 'harem' in 2007 and cast her out, but her explosions and rumors about them eventually made it to Jamir and Master Clyde. They tracked her down, fought her, took her home and trained her in the use of power. She fears power a little bit and considers attacking with techniques secondary to attacking with guns or conventional weapons against other supers, who generally are not bulletproof. She was withdrawn at first but became more boisterous and open with feelings. She was also drafted into the SLA and became a captain. She seems a bit grouchy at times and likes to fight more than the others. 5’5 in 2006, and later grows to 5’9 in 2012. Root power: Alchemy/matter transformation by touch- she can change matter into energy, making it explode, or change the shape and size of things she touches. Unknown DOB in South Sudan. An underdeveloped youth. Found by Master Clyde while touring a famine zone and noticed his mom dead and vultures circling him, and would have taken him to a refugee camp but noticed (using “cursed eyes”) that he was born with super abilities. Master Clyde and his students healed him the best they could. After he got better, they figured his powers and found a person whose mind was broken from the horrors of the South Sudan war. Since that man’s mind was broken to the point of being a vegetable, they allowed Otunda to hijack it, producing one being with 2 bodies. Otunda merges with the taller, stronger body, combing his power with the physical 6’5” frame. Thus his root power is “parasite”, allowing him to take over another person’s body and use it as his own, regardless of whether the host mind likes it or not. Due to the horrors of malnutrition and war, neither body can speak. Instead they talk telepathically, mostly having Soad or Jamir speak for/thru him. Otunda is called “Chucky” because he is notorious cruel and he is about 3’5”. Often he rides on the arms and shoulders of his hosting body. He can perform the same moves as his fellow Darfur students but he can’t use magic like Jamir. He is very skilled with computers and electronics, much better than the other students and even some EADI staff members. With some help from Jamir and Master Clyde, he was able to make a combat helmet that emits LIDAR in a 3D form, thus making him aware of everything while flying. He prefers to fight wildly, overpowering opponents, or tricking them into traps by faking injuries or mental confusion. He doesn’t use as many mental attacks as Jamir or Soad, but has shown a great skill at networking minds and even connecting minds to machines than can handle that sort of interface. A particularly gruesome "noodle incident" early in his career has given Otunda a terrible reputation amongst the national populace. As of yet, the EADI staff have yet to know the details. They still suspect his involvement in other hideous events. Otunda dreams of being a regular boy- well, that's what he tells people. Who really wants to know what's going on in his evil mind?